Have you ever had an Eggroll in a Bowl? 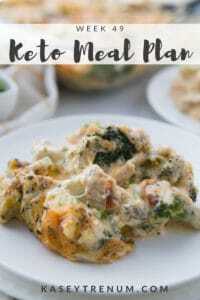 If not, this keto friendly recipe is soon to become a family favorite. Forget takeout Chinese! 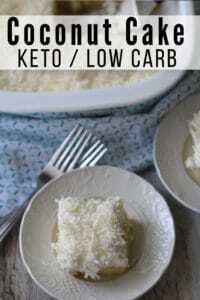 Make this healthier substitute at home! Earlier this week, my hubby brought home several cabbages that a friend at work had given him from their garden. We both love cabbage, but our big kids don’t feel the same. As I was contemplating dinner earlier today, I was trying to think of a recipe that they might like that included cabbage. 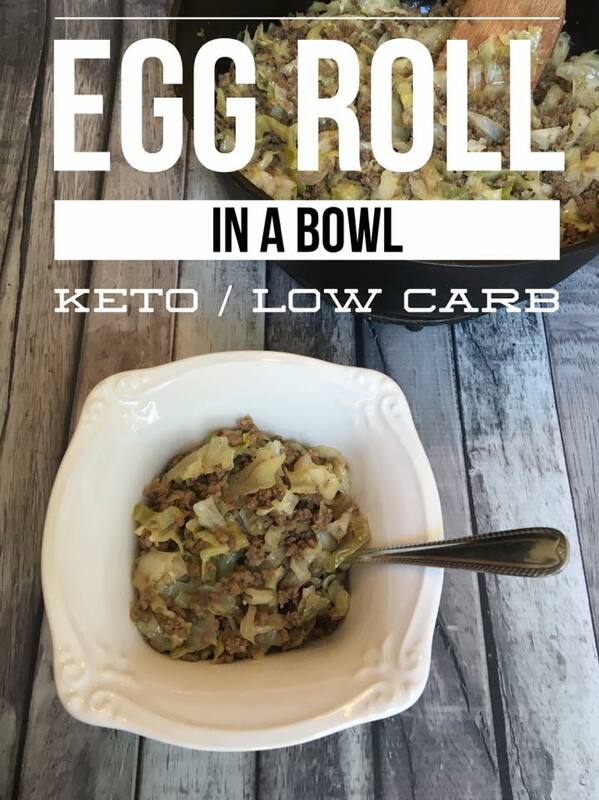 I remembered how much they love egg rolls, so I decided to make a keto friendly egg roll in a bowl. I also wanted a very easy recipe with minimal clean up as my dishwasher quit working about a month ago. After six service calls and four new parts, the repairman said that it’s best to cut our losses and get a new one. So, until my new dishwasher comes in, I am only cooking meals that require minimal cleanup. I know this is a total first world problem, and I could easily survive without one, but I sure do miss it. The Egg Rolls in a Bowl turned out amazing, and my kitchen was so easy to clean afterward. 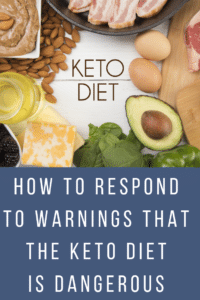 If you are like many, you are curious about what this whole keto thing is about. 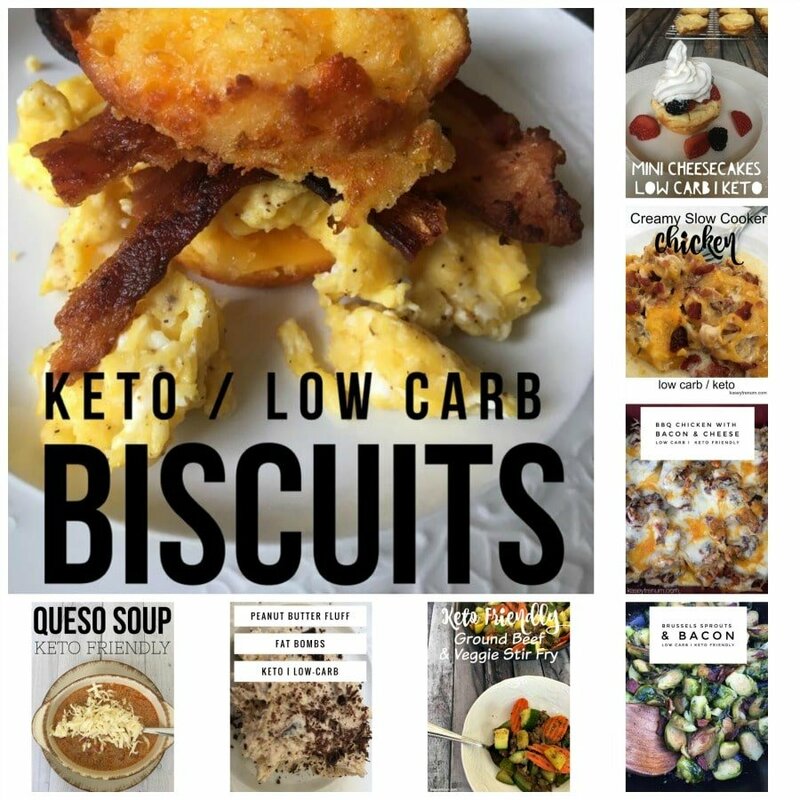 We have a great Guide to Getting Started with Keto that is perfect for helping you to learn more about the process and get off to a good start. You may want to know how much of each thing to eat every day. Use our post with the Best Keto Apps to Count Macros to help learn more about where to begin. Brown ground beef with diced onions and minced garlic then drain. Add rest of ingredients to the beef mixture. Cover and bring to a boil then turn down to medium and simmer 15-20 minutes or until cabbage is tender. 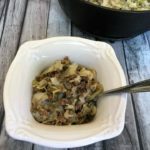 I know you are going to love this Keto Friendly Eggroll in a Bowl Recipe. It’s become a family favorite for us. 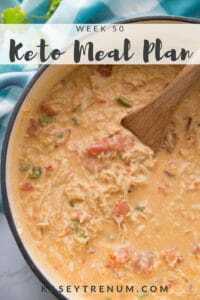 If you want more easy to make and family-friendly recipes, make sure to check out my Keto Recipe Index. Below, are a few of our favorite recipes that you may also want to try this week! I’m I doing something wrong or why do the nutritional values for your recipes never print on recipe? I always have to cut and paste the recipe then the nutritional values in word to get them to print together. They aren’t currently part of the recipe box so they won’t print when you print the recipe. I am in the beginning process of converting to a new recipe plug in that will print the nutritional info. It will just take me some time to convert them all. Thank you…Thank you.. finally I have found everything I need to adapt into the Keto lifestyle. I found that I would search for hours looking for a recipes that my whole family would love only to cook it and they would tell me to get off my health kick…lol. What I love the most about your recipes is that I have most of these items in my pantry right now. 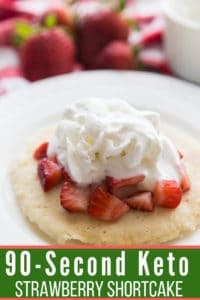 One of my pet peeves is going to the grocery store and forgetting the list, with these recipes it is what I buy on a regular basis…Thanks again and I am sure my family will love it too. I’m so glad you loved it and that you enjoy my recipes. I do really try to make them easy and family friendly. As a mom of 4, easy is at the very top of my list of necessities. That is totally up to you. It gives it a great bold flavor. What would be some good options for a side dish to go along with this? Since it already has a veggie and a meat I don’t usually eat a side dish with it. If anything, I would just make a salad.